Need help sorting out your AV gear??? 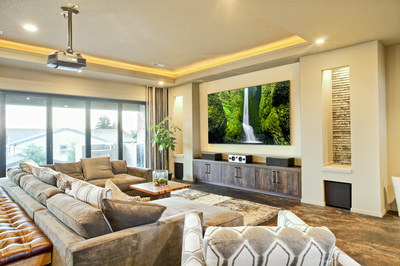 Have you ever wished that all your audio visual, home entertainment systems could be connected for you? And you could be enjoying your favourite NETFLIX show or footy match, without lifting a finger? AV Made Easy, Redcliffe, north of Brisbane, make sure your home entertainment equipment and audio visual systems deliver optimum sound and image quality. From digital TV antenna installations and troubleshooting TV reception problems, through to wall mounting your TV, total home theatre installations and surround sound. 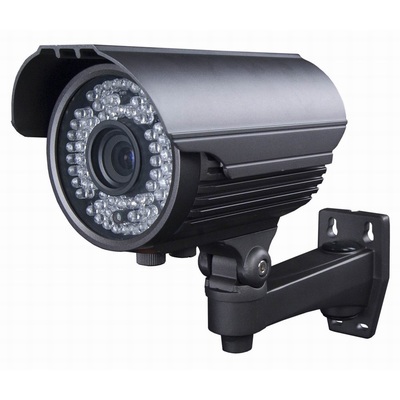 We are even licenced security installers and can install your CCTV or intercom systems. 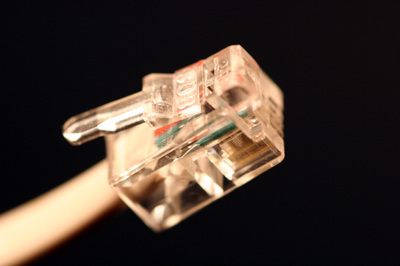 AV installations incorporate all kinds of AV gear and AV Made Easy has you covered. For over fifteen years, AV Made Easy has been installing the best audio visual equipment the industry has to offer and we know our stuff. 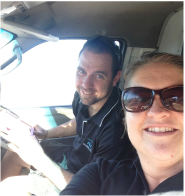 From our base in Redcliffe, AV Made Easy has very satisfied customers right across Brisbane, north Brisbane and beyond. Installations book fast. Call 0404 252 631 right now to check availability. Don't forget to ask for a FREE Quote. 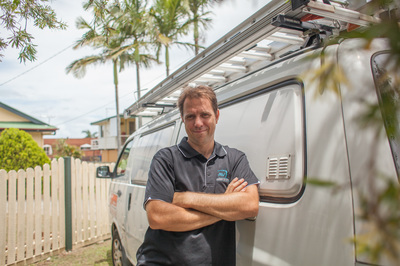 Geoff from AV Made Easy is Brisbane's BEST Tradie! Click to find out more about our Brisbane's Best Tradie Award. We know that a TV isn’t just a TV anymore – it’s your home entertainment hub. Make the most of it and enjoy every feature and optimum sound quality. Trust an expert to set you up to get the most from your system. 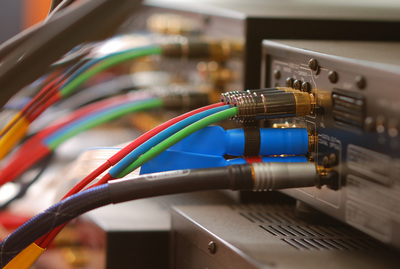 Our team are professional audio and visual technicians and also the leading Brisbane antenna installers. 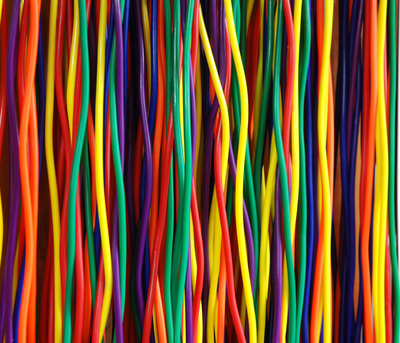 We can get you more from your system configuration – you’ll be amazed at the results. AV Made Easy expert installers take the time to explain everything you need to know to use your systems to its full potential. The jobs not done until you’re confident you know how to get the most from your set up. We will deliver the best possible experience from your audio visual hub and also provide great job on digital antenna installations service. This is a promise that we deliver on, every day. How can we prove it to you? At least 40% of our customers including who had antenna services are either repeat business or were recommended by a friend. 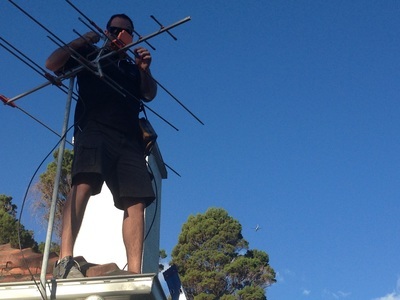 As a small, local business for aerial installation, data and phone cabling and more in Redcliffe, As a leading Brisbane TV antenna installation contractor we know reputation means everything. That’s why we’re so proud of ours! Check out our testimonials and our VIP customer pages now. Call 0404 252 631 to experience the difference with AV Made Easy optimum audio visual installations. Browse our blog articles to find answers to your questions... We will also link some articles of interest from time to time from external sources. 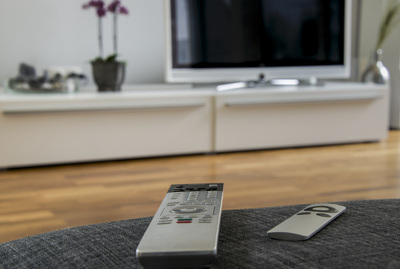 Find out how to ensure your kids are safe from a TV toppling over. Click to read the article. Audio Visual equipment can bring so much fun, joy and entertainment value to peoples lives. We want to give people the opportunity to take advantage of the amazing technologies available to them, without the hassle, frustration, time and energy that it can often take to realise that value. We promise to deliver a quality, reliable service every time. 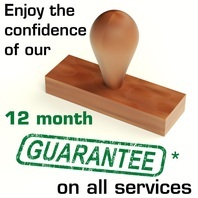 That's why we offer you a 100% SERVICE GUARANTEE* on all services that we offer for 12 months from the date of service. That means, if there is something we've done that's not quite right or stopped working we will come back out and get if fixed - FREE of CHARGE^. AV MADE EASY technicians are fully insured, so you can rest easy having one of us in your home. * SERVICE GUARANTEE covers our workmanship only. We do not take responsibility for faulty equipment or changes made to our set up after we have finished the job. We will perform all services necessary to rectify any issues or errors acknowledged to be caused by our workmanship, FREE of CHARGE. If the issue/s are found not be caused by AV MADE EASY we will be happy to provide our services at our usual retail rates to help you resolve the problem.